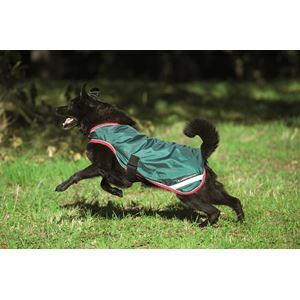 The Horseware Rambo Waterproof Dog Rug is a top quality dog coat, so your dog can now have a top of the range dog rug just the same as you treat your horse to! 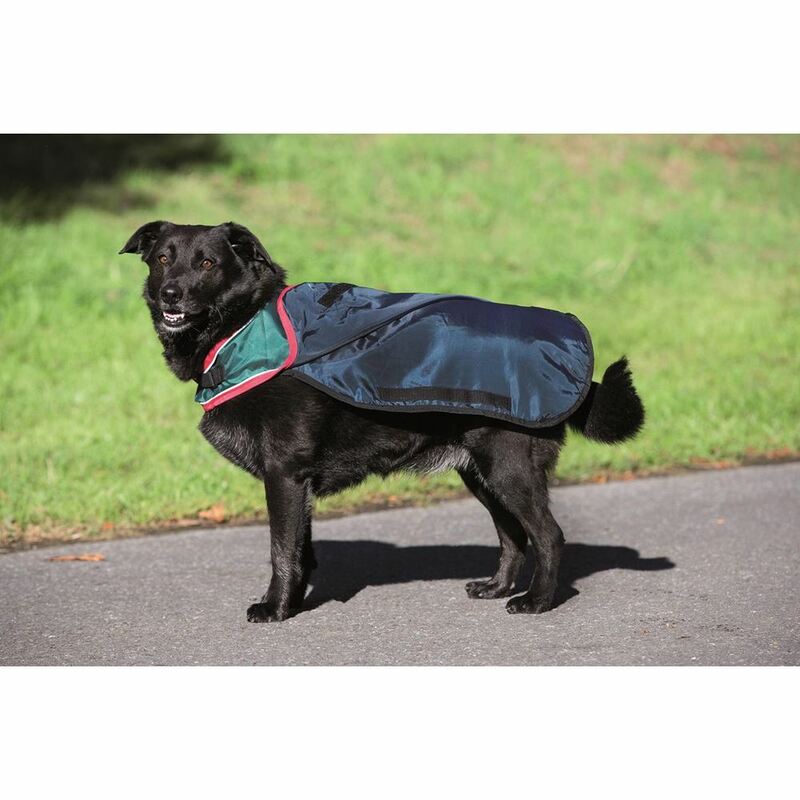 The Horseware Rambo Dog Rug has a 840D Polyester waterproof 0g outer, with a removable 100g liner with thermobonded fibre fill. 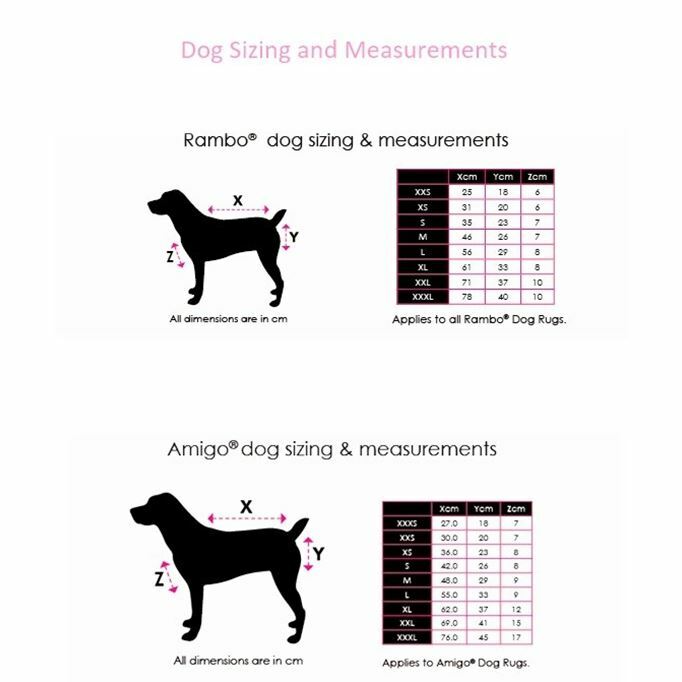 Adjustable front to fit many shapes of dogs. 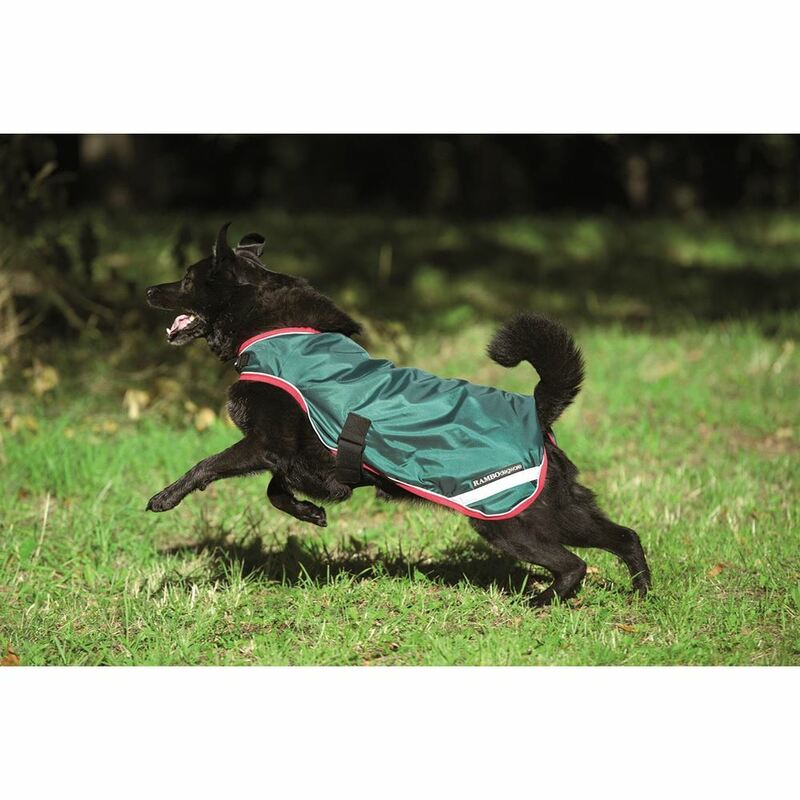 Featuring front leg arches for freedom of movement, reflactive piping and elasticaed surcingle to give a snug fit.